Relish the wonders of Classic Literature in B.J. Harrison’s second season of The Classic Tales Podcast. Experience more of the greatest fiction ever written, as it comes to life in this unprecedented audiobook. Adventure from Jack London and Edgar Rice Burroughs, gothic suspense from Wilkie Collins and Edgar Allan Poe, humor from Mark Twain and P.G. Wodehouse - this collection has it all, complete and unabridged. Running time is over 37 hours! Titles include: "The Adventure of the Blue Carbuncle", by Sir Arthur Conan Doyle; "The Most Dangerous Game", by Richard Connell; "The Man Who Would Be King", by Rudyard Kipling; "The Highwayman", by Alfred Noyes, "Berenice"; by Edgar Allan Poe; "The Offshore Pirate"; by F. Scott Fitzgerald, "The Rime of the Ancient Mariner"; by Samuel Taylor Coleridge, "To Build a Fire", by Jack London; "The Body Snatcher", by Robert Louis Stevenson; "The Blue Cross", by G. K. Chesterton; "If", by Rudyard Kipling; "Heart of Darkness", by Joseph Conrad; "Leave It to Jeeves", by P.G. Wodehouse; "The Birthmark", by Nathaniel Hawthorne; "The Red Room", by H. G. Wells; "The Million Pound Bank Note", by Mark Twain; "The Aunt and Amabel", by E. Nesbit; "Ali Baba and the Forty Thieves", from The Arabian Nights; "The Hound of the Baskervilles", by Sir Arthur Conan Doyle; "Jeeves and the Unwanted Guest", by P.G. Wodehouse; "An Occurrence at Owl Creek Bridge", by Ambrose Bierce; "A Horseman in the Sky", by Ambrose Bierce; "Bernice Bobs Her Hair", by F. Scott Fitzgerald; "The Yellow Wallpaper", by Charlotte Perkins Gilman; "Fear" and "Was It a Dream?" by Guy de Maupassant; "The Canterville Ghost", by Oscar Wilde; "The Man Upstairs", by P. G. Wodehouse; "The Strange Case of Dr. Jeckyll and Mr. Hyde", by Robert Louis Stevenson; "Dracula's Guest", by Bram Stoker; "Rikki-Tikki-Tavi", by Rudyard Kipling; "The Machine Stops", by E.M. Forster; "The Purple Dress", by O. Henry; and more! Would you consider the audio edition of The Classic Tales Podcast, Season Two to be better than the print version? Yes. The is a varied collection of short stories and short novels. I've read many, but most are one that I probably ever got around to reading myself. And there were a few new authors to me. 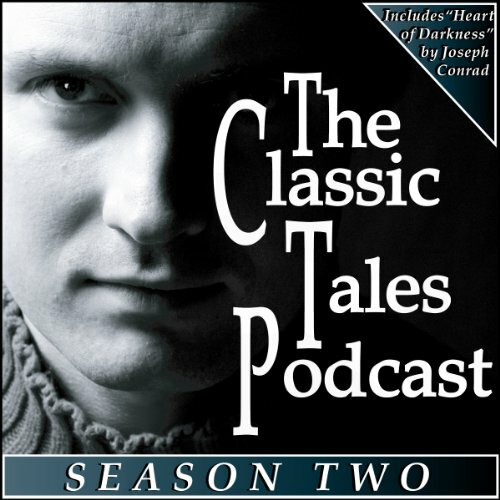 What was one of the most memorable moments of The Classic Tales Podcast, Season Two? The Purple Dress by O. Henry. (I would like to hear Harrison perform more O. Henry). What does BJ Harrison bring to the story that you wouldn’t experience if you just read the book? Bernice Bobs Her Hair by Fitzgerald and The Most Dangerous Game by Richard Connell. If you could take any character from The Classic Tales Podcast, Season Two out to dinner, who would it be and why? Sherlock Holmes from the Adventure of the Blue Carbuncle. There are many interesting characters, but Holmes may the most interesting character in literature. If not him, then Henry Adams from from Twain's Million Dollar Bank Note or the unnamed man from Jack London's To Build a Fire. I look forward to listening to Classic Tales Podcasts 1 and 3. What did you love best about The Classic Tales Podcast, Season Two? A good selections of stories that made me feel nostalgic for elementary and high school English classes. At unpredictable intervals, sometimes between stories and at other times in the middle of a story, the narrator would start doing a preamble about the story, but it would not be complete and would suddenly cut to the story again. Then during the final story, the story restarted part way through and then would cut back and forth among preamble, story, and earlier part in the story! It was rather confusing; it needs to be edited.